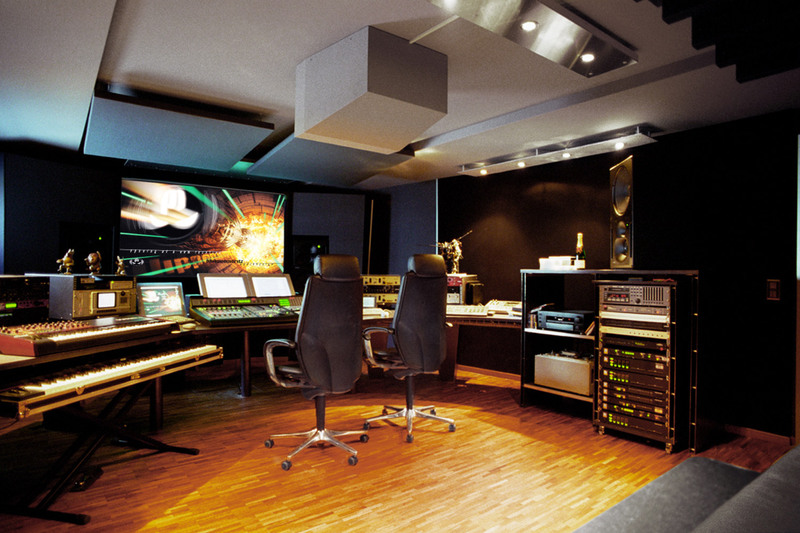 PhilippeMoritz in Zurich, Switzerland is a full service audio post production facility owned and headed by Philippe Schmid and Moritz Schneider and is situated within the full service digital post-production facility of Das Werk Zurich. The facility is used for film and advertisement clients; clients/projects include BMW, Siemens and Microsoft. 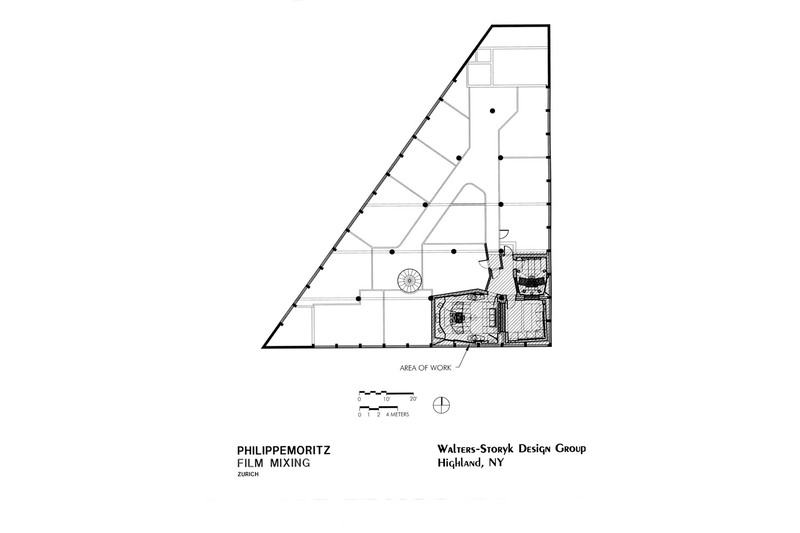 The PhilippeMoritz facility consists of two control rooms of 35 sq meter (380 sq feet) and 15 sq meter (160 sq feet) and a Voiceover / Recording booth of 20 sq meter (215 sq feet) equipped with four Foley pits. 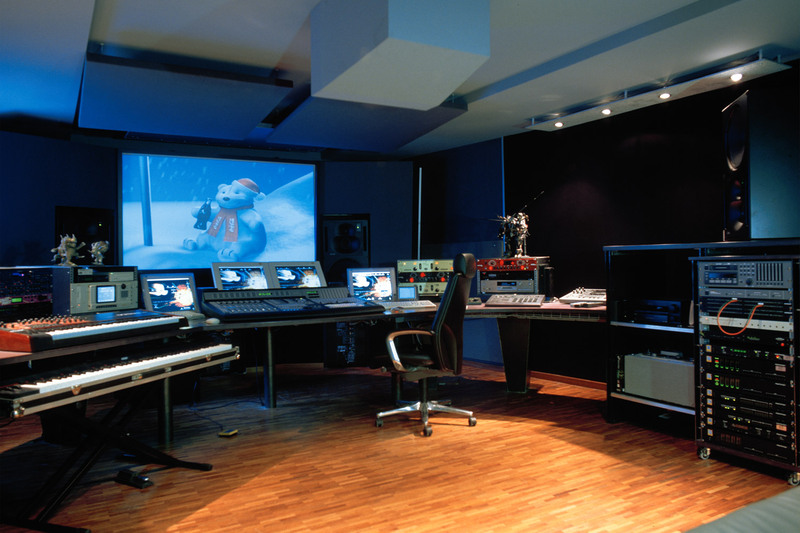 The audio facility is embedded in the two floor digital post production complex of Das Werk Zurich. Das Werk is the foremost German based provider of digital processing services for advertising, music videos, and films for television and cinema. It has grown to become Europe’s largest postproduction enterprise with locations and affiliations in numerous major European cities, including London, Paris, Bruxelles and Berlin. The interior and acoustical design responds to the client’s desire to create an atmosphere that is inspired by an industrial, eerie look with bold and metallic surfaces. To facilitate viewing towards the screen as well as the architectural theme of the facility, much of the room is colored in black anthracite and dark gray tones. The wood parquet floor contrasts organically with these elements. Sightlines have been optimized for synchronous or independent operation of Control Rooms A/B with the Voiceover booth. 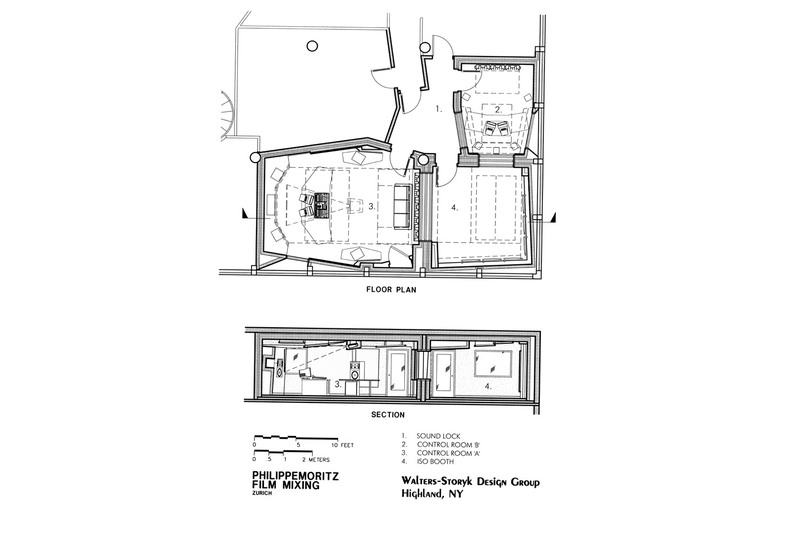 To have constant unobstructed views towards (A) the projection screen and (B) the artist, a two sided approach (screen in front, window in back of room) has been developed. 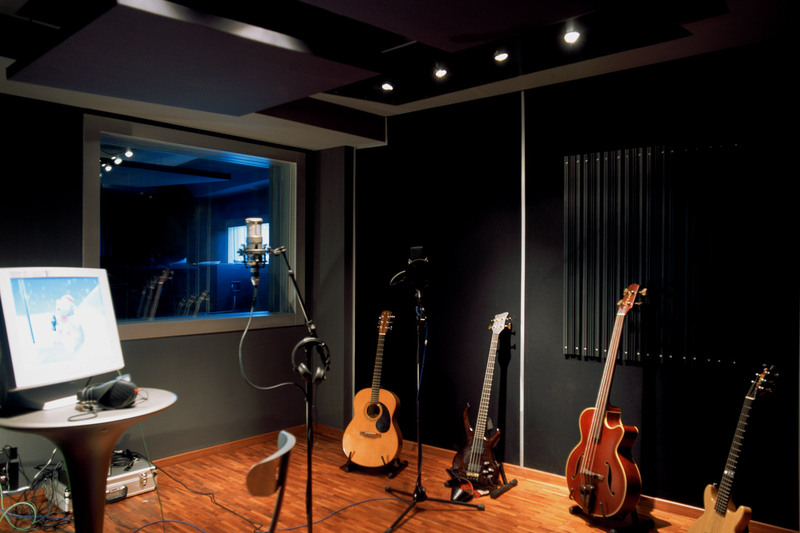 The rear window in Control Room A (acoustically treated with a transparent Plexiglas diffusor) allows full vision control towards the Recording Room without losing optical quality in the front by choosing a small TV screen or having to operate a motorized screen. The facility is designed for 5.1 Surround Sound and is ready for Dolby/THX certification. 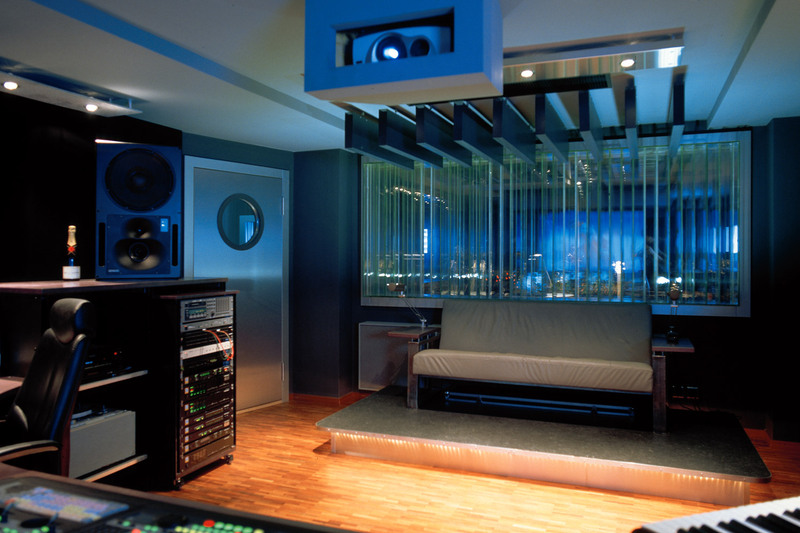 All of the audio rooms are built as full “room within room” construction on top of separate acoustically isolated (de-coupled) floors. This allows for fully independent operation of either Control Room A or Control Room B in conjunction with the Voiceover booth. Background noise levels are below NC-20 for all three rooms with an active HVAC system operating. The technical system integration has been provided by Simola Eichmann Communications (SEC), Switzerland. Wire management issues have been solved by introducing a fully acoustically floated under floor cable raceway system which is connected to Das Werk facility system. Access panels are distributed throughout the studio allowing upgrades, replacements and/or additions to all of the technical systems.